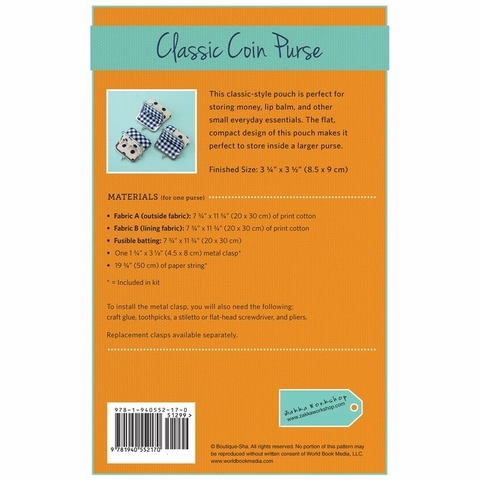 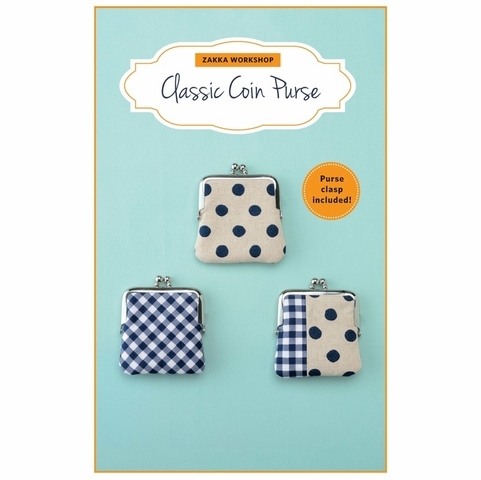 This classic-style pouch is perfect for storing money, lip balm, and other small everyday essentials. 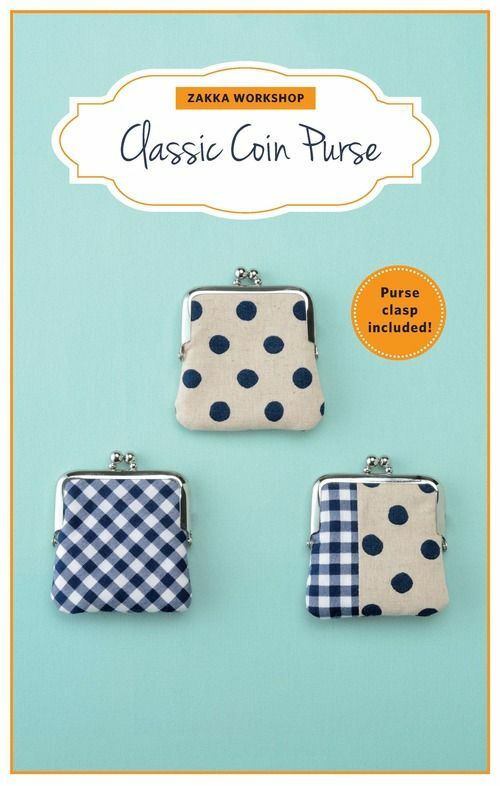 The flat, compact design of this purse makes it perfect to store inside a larger purse. 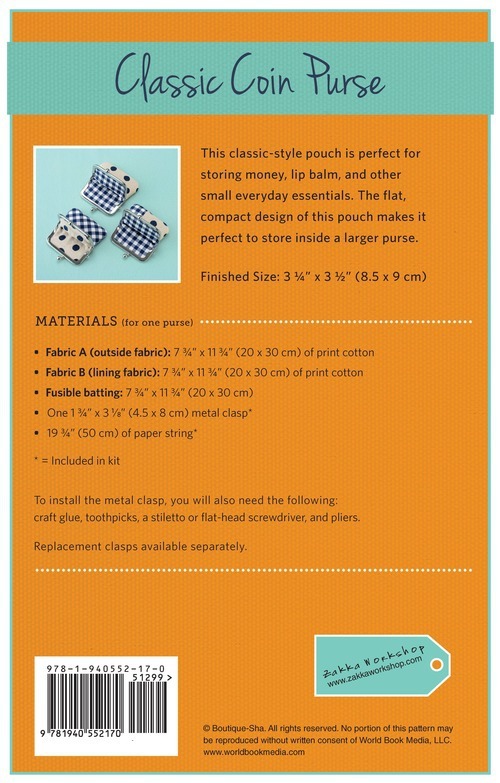 Fabric and fusible batting are not included.